A powerhouse of a vehicle: Opel Classic revives the tradition of the legendary beach race of the 1920s by unleashing the “Green Monster” on the Danish North Sea coast. The most formidable vehicle in Opel’s history leaves the company’s factories in 1914. 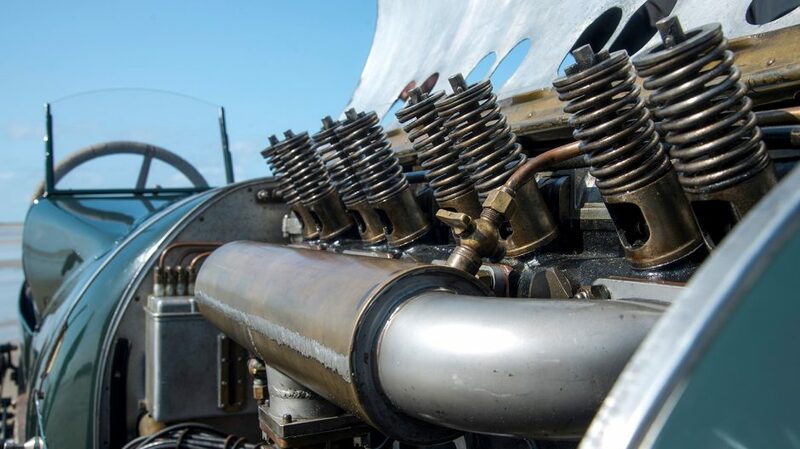 Due to the enormous height of the engine, the valve springs protrude into the open through 16 holes. Advanced technology: The vehicle from Rüsselsheim is one of the first in the world to feature four-valve technology. 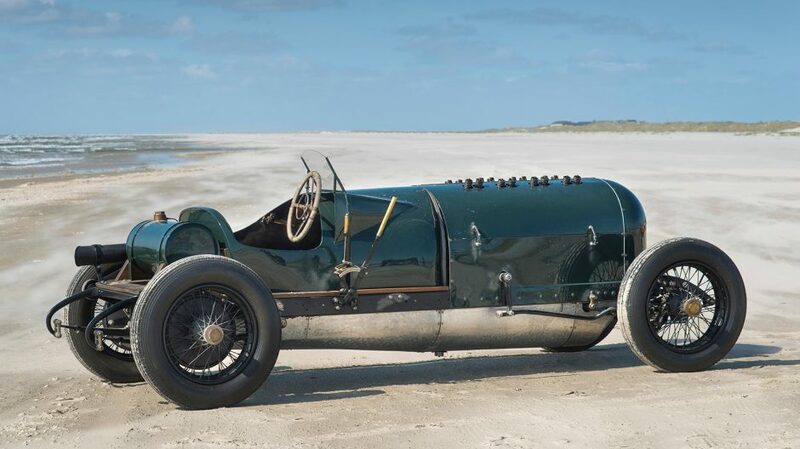 Now 104 years old, the dark green racing car was extensively restored from 1998 to 2000. Opel already sparked widespread enthusiasm with the 12.3-liter racing car at beach races on the Danish island of Fanø in the 1920s. And none other than the legendary Carl Jörns sat behind the wheel of the car with the largest displacement of any Opel ever built. This photo of the Opel racing car was taken in 1921. 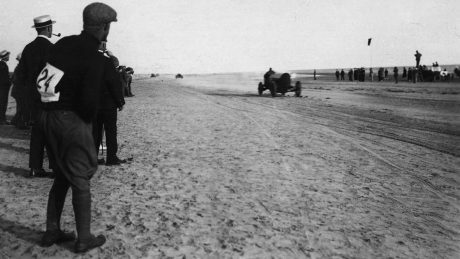 The beach race was a genuine spectator event on the sandy beaches of the Danish island of Fanø in the early 20th century. of Denmark – the site of its greatest triumph ever – after 94 years. 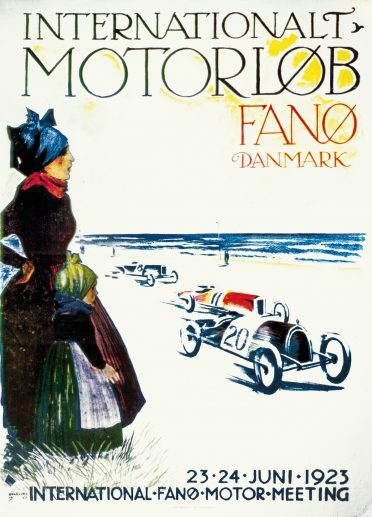 The year is 1924; the location is the island of Fanø: The beach races, which typically draw a huge crowd, are held on this small North Sea island off the coast of Denmark and just north of Germany. And the spectators receive a special treat: the Opel 12.3-liter racing car. This powerhouse of a vehicle features pistons that charge through the combustion chambers at a full 24 meters per second and the engine delivers 260 hp, allowing the racing car to reach speeds up to 228 km/h. Back in their day, the beach races were a huge event on this small North Sea island off the coast of Denmark. This top performance helps this speed demon break its own record of 194 km/h, set at the very same location just two years prior. And none other than the legendary Carl Jörns is sitting behind the wheel of the car with the largest displacement of any Opel ever built. And what about 2018? 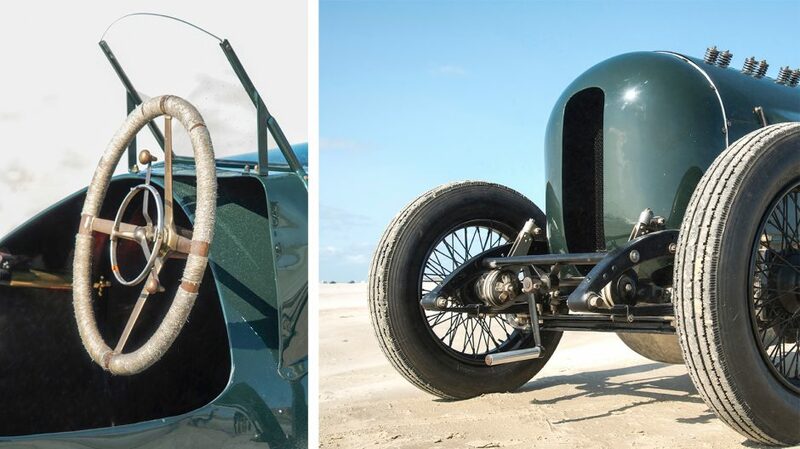 The “Green Monster”, which has been the racing car’s moniker ever since, is tearing up and down the beaches of Fanø once again. Jens Cooper, an employee at the Opel Classic workshop, sits behind the wheel. The racetrack extends over one-eighth of a mile, just like almost 100 years ago. Cooper doesn’t intend to break any speed records, much less win the race, because it’s actually only a test run. The main race will be held on the neighboring island of Rømø on the following day. 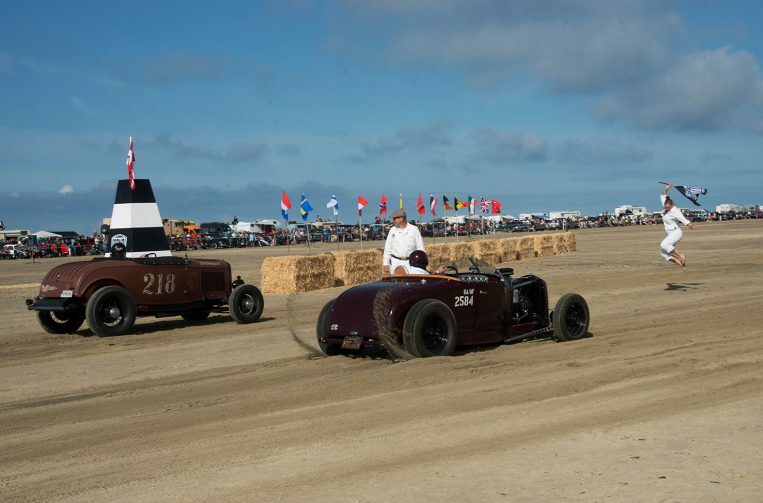 This venue harks back to the legendary races on the beaches of Denmark from the 1920s, which automotive enthusiasts revived three years ago. 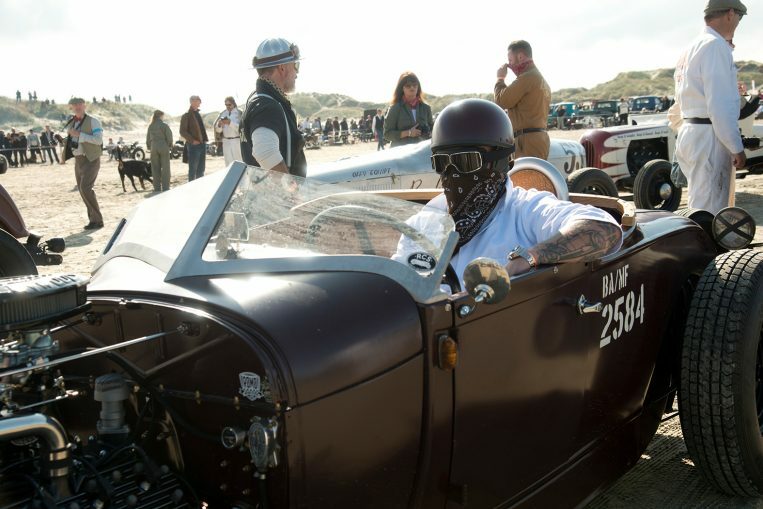 There will be 55 vintage vehicles and 55 motorcycles from the first half of the 20th century toeing the line, so to speak, on the beach of Lakolk on 1 September 2018. 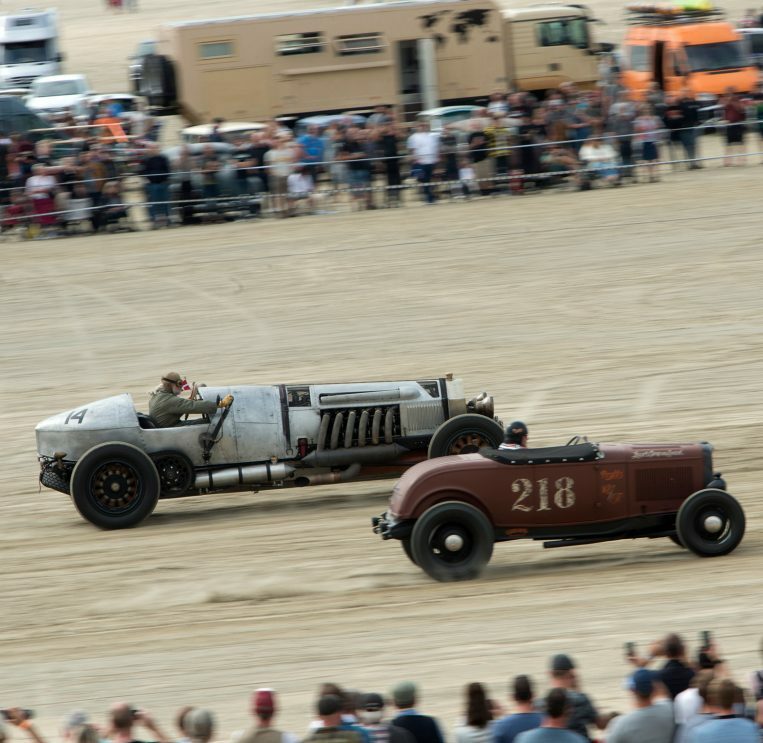 Two vehicles at a time will face off over the traditional one-eighth mile sprint. Automotive enthusiasts revived the legendary races on the beaches of Denmark from the 1920s. Which means that times and rankings will be recorded, but they play a lesser role. This event has gained in popularity – with 20,000 spectators expected this year – drawing large crowds who primarily come to enjoy this unique exhibition of vintage cars from 11 countries around Europe. And the event organizers demonstrate their tremendous love for detail for this automotive nostalgia. 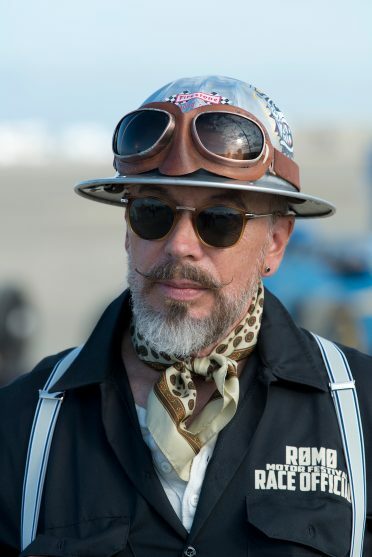 All drivers and track staff need to wear period clothing, including the press if they want access to the interior area of the track. Just like the old days: More than 100 vehicles and motorcycles from the first half of the 20th century took part in the third edition of the motor festival. 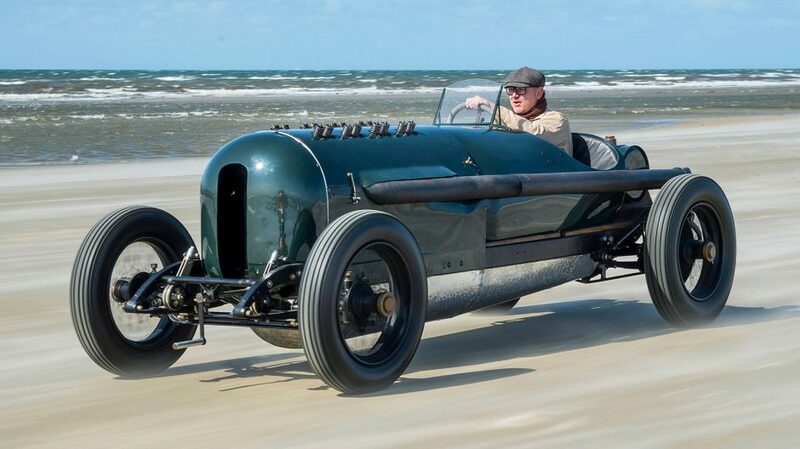 And word has obviously traveled the circuits that the winning vehicles from the 1922 and 1924 Fanø races will also be in attendance. Everyone is on the edge of their seats. And the preliminary run held on the neighboring island is more than just a test run: Uwe Mertin and his Opel Classic team arranged it because of requests from a number of media outlets. One camera team from France was particularly interested in having the opportunity to film the “Green Monster” at the historic site. 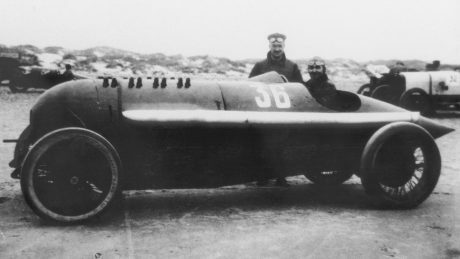 The racing car starts off as it were 1924 again, but unfortunately its age also shows when the car’s engine starts to sputter. Jens Cooper needs to abandon the test. The “Green Monster” starts off as it were 1924 again, but the engine starts to sputter. It turns out that the valves took on sand. The experts from the Opel Classic workshop quickly find the troublemaker. Fine sand from the beach penetrated the gigantic valves, blown in by strong westerly breezes off the North Sea, which caused the carburetor to backfire. Extreme caution needs to be exercised as the engine could catch fire. Jens Cooper works together with another Rüsselsheim specialist, Rainer Fickus, who Opel brought to Denmark for the sake of the “Green Monster,” to repair the damage. They feverishly toil until the early hours to return the star guest to its original performance. New edition: Times and rankings are recorded, but they play a minor role. In the end the “Green Monster” needs to settle for being the main attraction on the sidelines of the race track, and nevertheless the spectators are enthralled by it. Love for detail: The staff working on the race track is also dressed in period clothing. 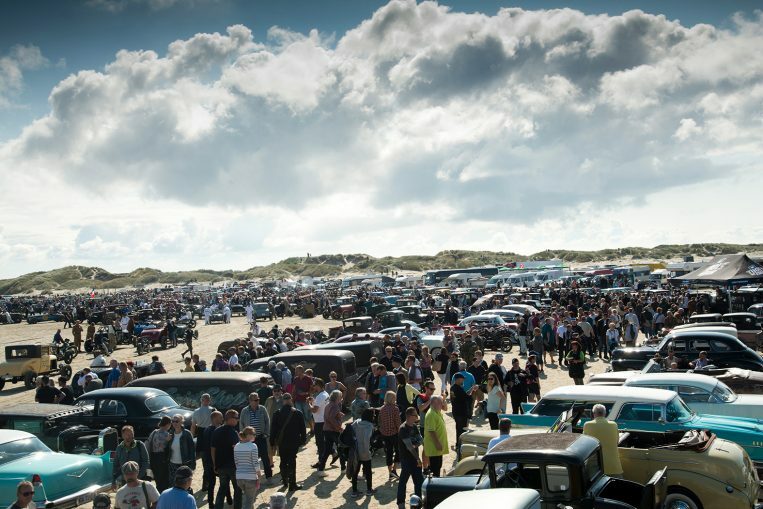 Time slots: 20,000 visitors traveled to Denmark to attend the vintage vehicle beach race in 2018. 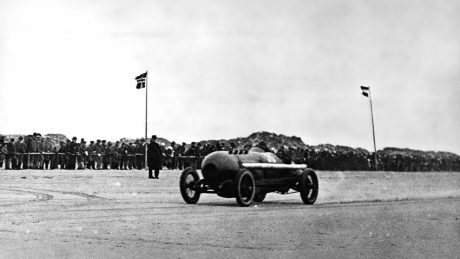 The venue is perfect for a revival of the legendary races with a wide, flat surface directly on the North Sea coast and a beach consisting of almost rock-hard sand.